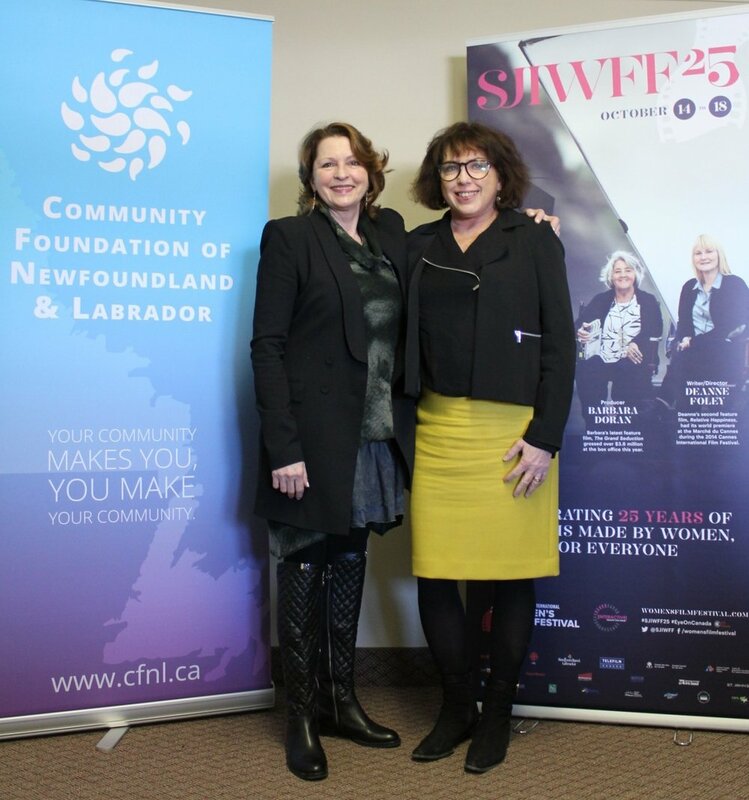 To mark 25 years of supporting women filmmakers and celebrating Newfoundland and Labrador arts and culture, the St. John’s International Women’s Film Festival is joining forces with the Community Foundation of Newfoundland and Labrador (CFNL) to create an endowment fund for the Festival. Announced as part of SJIWFF’s 25th Anniversary Opening Night Gala last October, the new WFF Silver Fund will provide assistance for the Festival’s activities including screenings of award-winning films throughout the year, cutting-edge training workshops and development opportunities for local filmmakers, mentorship for emerging women directors and hands-on training in filmmaking for Newfoundland and Labrador youth. An agreement establishing the Fund was signed between the two organizations this week. By creating the fund under the CFNL umbrella, the Festival will benefit from the experience and expertise of Newfoundland and Labrador’s province-wide community foundation, which was founded in 2002. A community foundation is a vehicle that helps individuals, businesses, and community organizations establish endowment funds as permanent community resources. CFNL, a member of Community Foundations of Canada, holds over $1.2 million in endowed assets and has distributed more than $400,000 in grant funding to a wide range of causes across the province. To launch the WFF Silver Fund, 25 individual and corporate donors will be invited to become founding members of the endowment by providing tax-receipted gifts of $2,500, either in one year or spread over 5 years. Fundraising for the endowment will be an ongoing activity for the Festival’s Board of Directors.